I am a software developer - but like many people, I was tired of my day job. I couldn't get excited about the projects, and I was just going through the motions. Then I took the leap, quit my job, and started consulting. I am now making more money, have greater control of my time, and enjoy my work more than ever before. The best part is - I can teach you how to make the jump too. I will teach you how to gain freedom by getting your first client, and finally start doing something you love. "How do you find clients?" 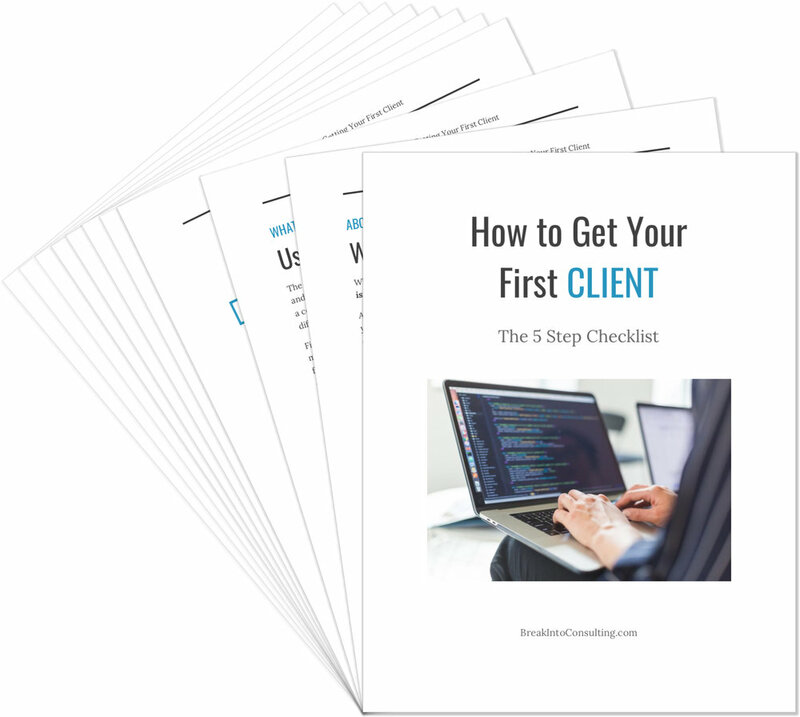 I put together all of my best tips for finding clients into this FREE 11 page PDF. It focuses on finding your first client - and then how to create behaviors and a process to continue to find clients into the future. Want to get your first client?